You probably have lots of things already on your Dubai to-do list. 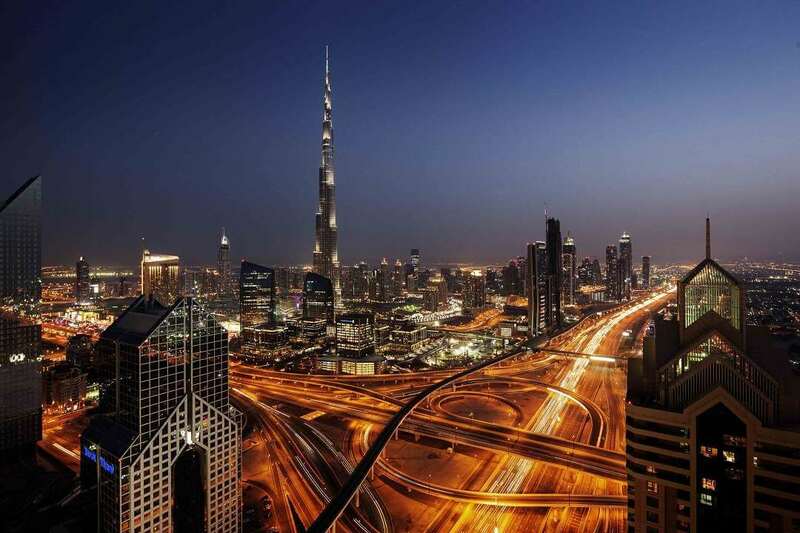 It’s incredible popularity means that you’ll have heard all about the city’s highlights, the places you simple must visit while you’re in Dubai. But we thought we’d add a few more of Dubai’s best tourist attractions to your list to make sure you don’t miss out on any of its best bits. Perhaps the most famous building in Dubai, and actually the tallest building in the world, the Burj Khalifa is an incredible 829.8m high. Add a trip to the 124th floor to your list of things to do in Dubai, because here you can look down on the on-going buzz taking place in the city below. 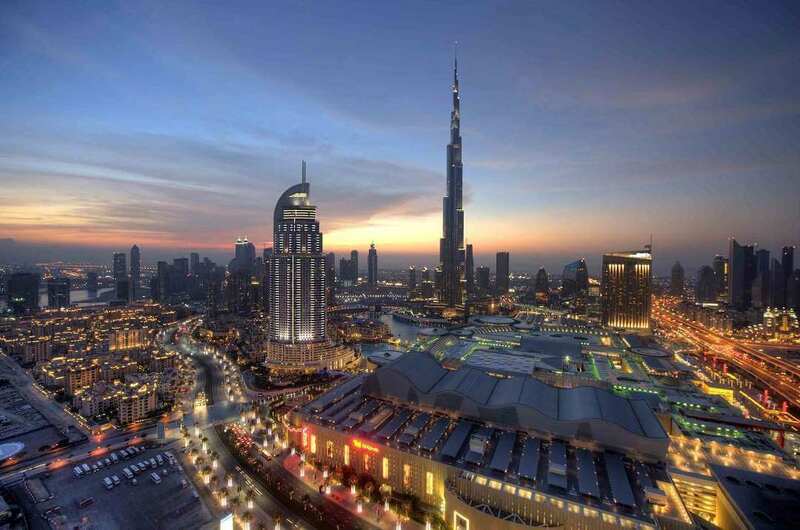 On the ground, the Burj Khalifa is surrounded by beautiful gardens, winding walkways, and the world’s tallest performing fountain, the Dubai Fountain. What a sight to see! The Dubai Creek splits the city into two – you won’t be able to miss it. With the town of Deira on the northern side and Bur Dubai on the south, you can enjoy a relaxing sail across the creek, admiring the activity on the banks either side of you. The Creek offers a small glimpse into historical Dubai too, as you can still witness sailors and tradesmen at work just as they did centuries ago. Lined with distinct and classical Arabian architecture, the Bastakia Quarter, otherwise known as Old Dubai, is where merchants set up their trades, mainly in pearls and textiles, close to Dubai Creek. Many of the buildings have been excellently preserved, and are topped with wind towers, an early form of air conditioning, which funnelled the breeze down through the houses to tackle the humid conditions. If you want to experience old-world Dubai, this is the place to visit. You won’t be stuck with things to do in Dubai when simply a visit to the Deira Souks will keep you busy for a whole day. 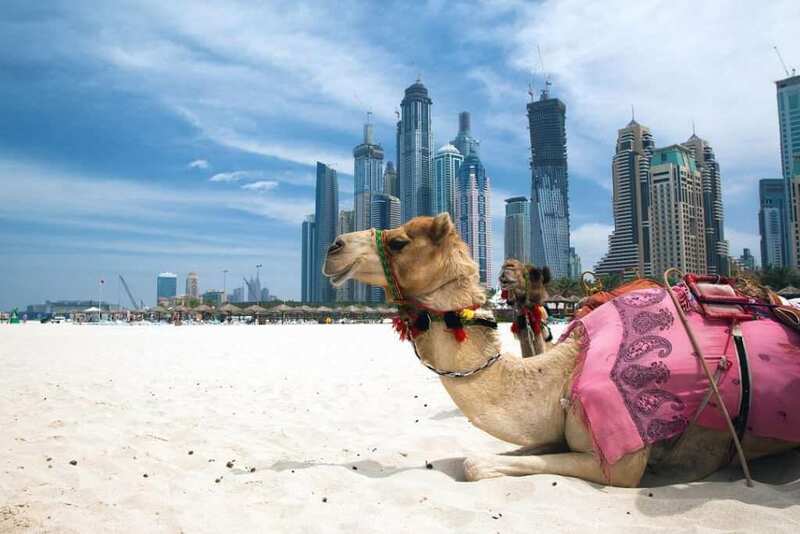 Wander north of the Dubai Creek and you’ll find the winding streets of bustling souks, or traditional markets. 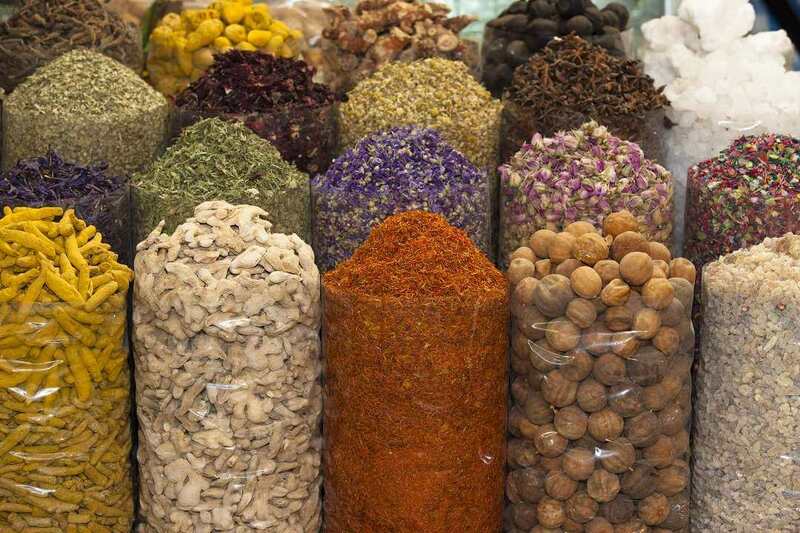 The Spice Souq sells every kind of spice that you can think of, with the stalls exuberating colours and fragrance. The glistening Gold Souq is the world’s largest gold bazaar, and just one of the reasons why Dubai was awarded the title of the ‘City of Gold’. The dining options in Dubai are just as much of a tourist attraction as, well, the tourist attractions. There really is something here for everyone, from traditional Middle Eastern fare to dishes influenced by cuisines from all over the world. Run by Michelin-starred chef Pierre Gagnaire, Reflets par Pierre Gagnaire is one of Dubai’s most extravagant gastronomic experiences. If this sounds right up your street, you’ll find it within the InterContinental Dubai Festival City Hotel. If you don’t want to miss out on visiting here while you’re staying in Dubai, booking is essential. For a fantastic night out in true Arab style, head to Awtar – a favourite among locals and tourists alike. The fun really starts past 10pm, when the locals normally sit down to dinner. While you’re being presented with a feast of grilled meats and mezze, you’ll be entertained by belly dancers and live music. Although the price can come to around £60, the authentic and exciting experience is certainly worth it. Located in the city’s Persian quarter, the Arabian Tea House is just perfect to enjoy as you watch the world go by. This quaint traditional venue, with its pretty open courtyard, will tempt you with its wide range of teas, juices, sandwiches, salads and traditional Arabian breakfasts. So if you’re looking for somewhere to relax during your day exploring, we’d suggest stopping by. For a true taste of India, exotic curries are the restaurant’s speciality. At Armani/Amal, each dish is freshly prepared right beside your table, allowing you to witness the culinary magic at work. 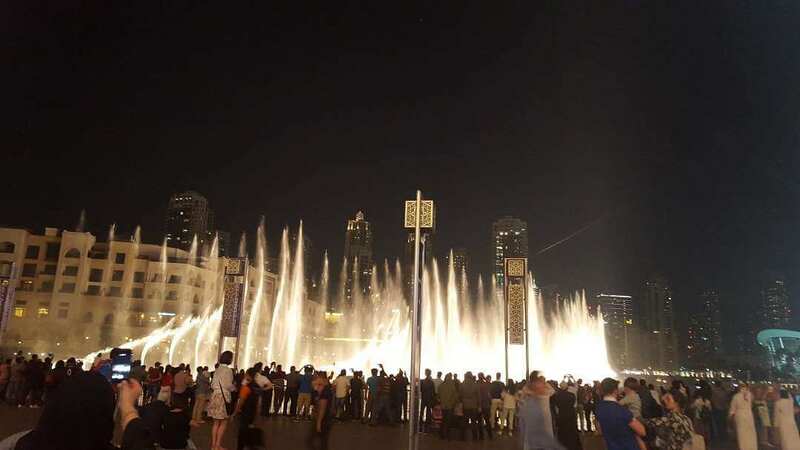 You’ll also be impressed by the stunning window views of the Dubai Fountain, which puts on an enchanting show every half an hour.